You are all invited to help Ojukan celebrate the ringing-in of 2019 with our dojo, at our Open Practice + Kagami Biraki party, at the Oregon National Guard Armory, on Sunday January 27th in the afternoon. We plan to hold an open practice from 2:00PM – 3:30PM, and then we put away the mats and eat and chat and celebrate the fellowship of Judo! We’ll have pizzas and mochi, bring the family by and enjoy the party! 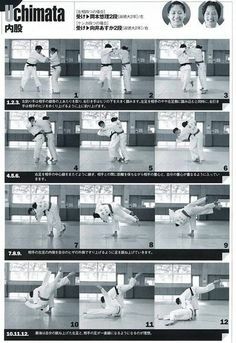 This entry was posted in Events and tagged #martialarts, judo, kagami biraki, ojukan judo on December 9, 2018 by Jiggy. 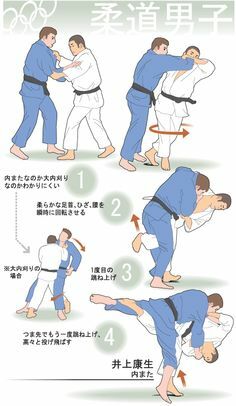 This entry was posted in Events, Notice, Uncategorized and tagged #martialarts, judo, ojukan judo, tournament on April 19, 2018 by Jiggy. 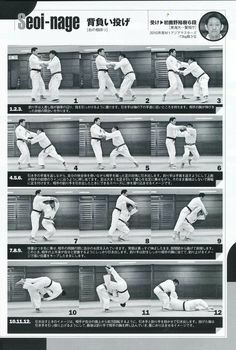 This entry was posted in Events, Notice and tagged #martialarts, judo, ojukan judo on January 30, 2018 by Jiggy. USA Judo Camp & Training Center Launch (Feb 17-18, 2018) – Celebrate our dojo being named an International Training Center for USA Judo. On February 17-18th, USA Judo CEO, Keith Bryant and Director of High Performance, Ed Liddie will travel to Portland along with Mr. Kosuke Tanaka, All Japan Judo Champion, Mrs. Tong Wen, Olympic and 7x World Champion, Mr. Shinjiro Sasaki, Kodokan Cup Champion, and Ms. Kanae Yamabe, Olympic and World Bronze Medallist. Over the course of the two days, host a judo camp, invite the community and local schools to try judo for free, and promote our future events. Don’t miss this event! This entry was posted in Events and tagged #martialarts, judo, northwest on January 23, 2018 by Jiggy. Just a reminder, we test/grade students every quarter at Ojukan. It’s a great way to re-enforce basics with our students and to give the teaching staff a chance to review class progress and determine what kinds of techniques or theories need more focus. So, this email is being sent to remind folks that we will be testing on Thursday, November 30th. Whether you are eligible (time in grade) for promotion or not, the entire class undergoes the assessment. Just another day in Judo! Between now and then; show up, train hard, pay attention and ask questions. Find out what you are expected to know, see if you can step up to the next level and figure out what that will take. 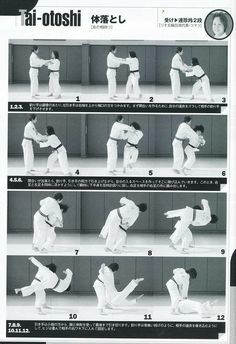 This entry was posted in Events, Notice and tagged #martialarts, judo, ojukan judo on November 9, 2017 by Jiggy. This entry was posted in Article, Events, Notice on September 12, 2017 by Jiggy. Ojukan Celebrates 50th Anniversary, Sunday August 27th! Celebrate with our Dojo family. If you would like, bring a side dish, dessert, or beverages to share. Dojo will provide burgers and hotdogs + cake and soda. There’s a swimming pool as well. 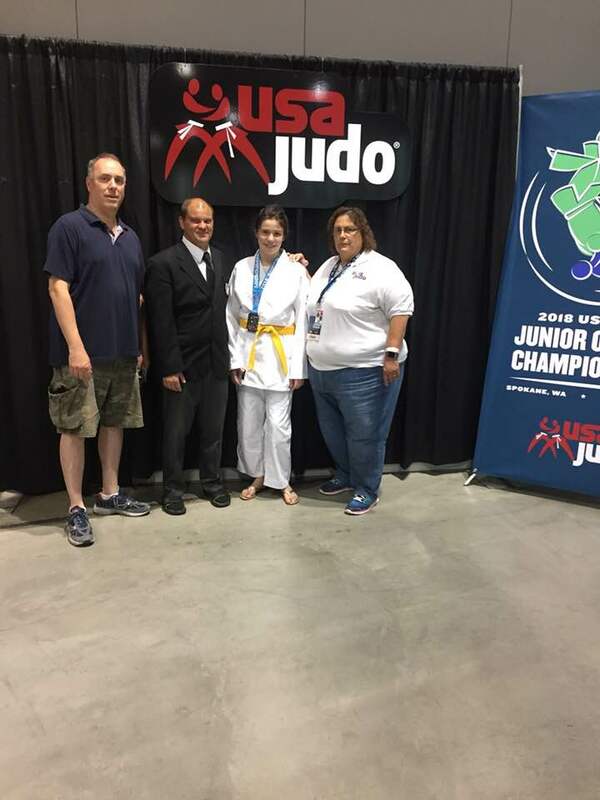 This entry was posted in Events, Notice, Uncategorized and tagged #martialarts, anniversary, BBQ, judo, northwest, ojukan judo on August 15, 2017 by Jiggy. Some of you may have noticed the possibility of snow early next week in the local weather forecasts. So now is a good time to share Ojukan Judo’s bad weather policy. If the Hillsboro school district closes down schools due to snow or bad weather, Ojukan will close practice that night. You don’t have to call people, rush to find the right web page, or figure out anything the hard way. Just watch the news – we honor the same closure decisions as the Hillsboro school district. In the mean-time, Keep On Throwing! This entry was posted in Events, Uncategorized and tagged judo, policy, snow days, weather on November 30, 2016 by Jiggy. Hey folks, tuesday night March 3rd is Ojukan’s special event: family night. 6:30PM. 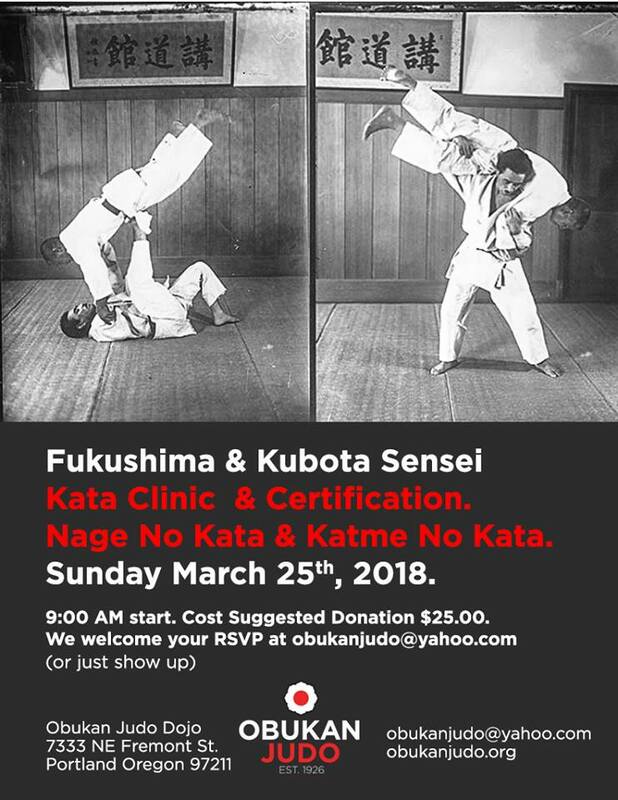 Basically an open-house event, we are welcoming all families to come visit our club, bring the kids, and see what Ojukan and Judo are all about. 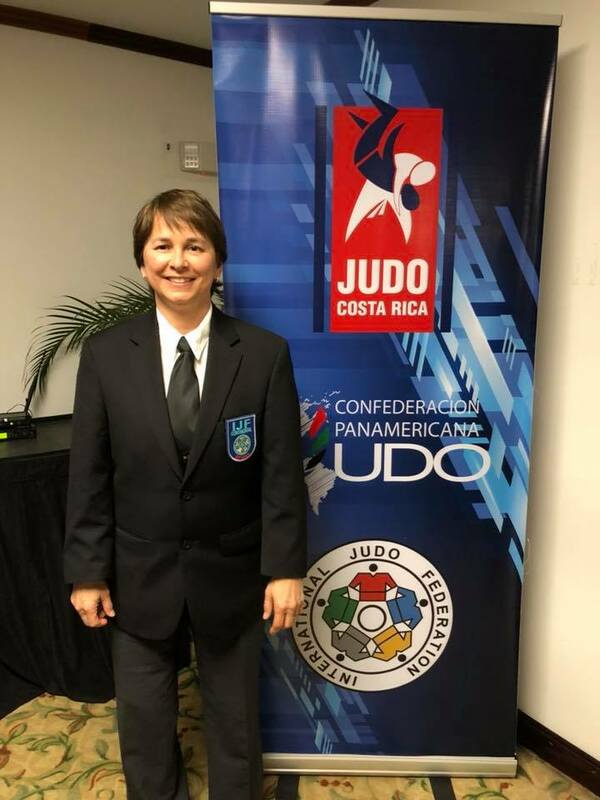 Over the decades Ojukan has been proud to be home for many Judo families and we have trained kids, teenagers, as well as young adults, parents, middle-age adults and so on. We have a family rate for membership, by the way. $35/month is the individual fee, but for family groups of two (2) or more, the price is capped-out at $70/month! We want to encourage the whole family to show up, we know how hard it can be to break activities up and arrange availability and transportation. If you chose the family plan, you get a great option for anyone to come in and train, so how cool is that? Go to our LOCATION link for directions on how to get here. 6:30PM, Tuesday night, March 3rd. This entry was posted in Events on February 23, 2015 by Jiggy. March 7, 2015 1:00 p.m. This entry was posted in Events, kata, Upcoming Tournaments on February 19, 2015 by Jiggy. No early or online registration. 1. CARE System will not be used. Matches will be officiated with one referee and two judges. 2. Referees may officiate in a white judogi. 3. Competitors are required to wear a white judogi. 4. Competitors will be differentiated with a red sash. 5. 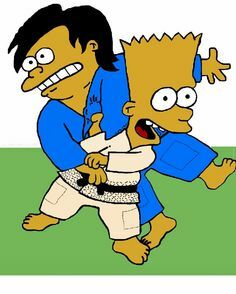 Shimewaza and Kansetsuwaza are not allowed in the Novice Division. 6. Leg grabs will be penalized by only a “shido” for all divisions. 7. Pre-2003 medical rules will be used. 1. Match time will be 5 minutes for Brown and Black Belt divisions. All others will be 3-minutes. 2. Rest periods allowed for contestant with back-to-back matches will not exceed a match time. 3. Golden Score has a 1-minute limit. Hantei decision if no score after 1-minute. 3. Each division will be divided into Round Robin pools determined by the contestant’s weight. 5. Competitors choosing to fight up in rank will be subject to the rules of the higher ranking division. This entry was posted in Events, Upcoming Tournaments on January 22, 2015 by Jiggy. Learn the basics of refereeing. Gain an advantage as a competitor. Prepare for regional referee examination. 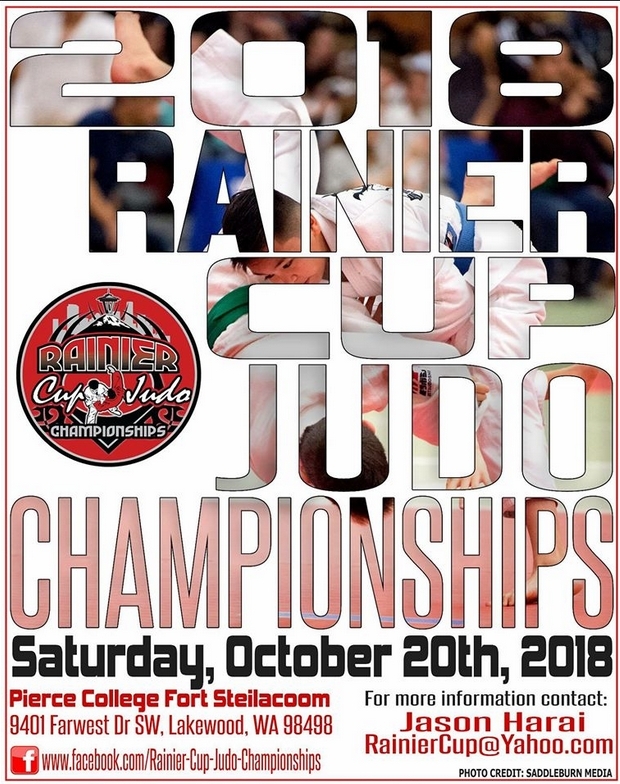 Open to current members of the USJA, USA Judo/USJI, or USJF, at least 16 years of age, and holding a rank of green belt or higher. Must present current membership card. Understand the method and risk of instruction for this referee clinic. I have agreed to allow my child to participate in this event. This entry was posted in Events and tagged clinic, judo, ojukan, referee on January 21, 2015 by Jiggy. This entry was posted in Events on November 9, 2014 by Jiggy.